iTunes is an amazing software by Apple that not only allows you to sync data between your iDevice and computer but it is also great when it comes to enjoying both audio and video entertainment. Most users use it to play media content such as TV shows, music, movies, etc. Although iTunes is great, it is not free from issues. One of its many problems is the iTunes black screen when you try to play a movie. Not matter how many movies you try, you cannot play them and get a black screen. The issue occurs for both downloaded and streaming movies. Fortunately, there are solutions available. How to Fix iTunes Movie Won’t Play Black Screen? Using a professional iTunes repairing tool is one of the best and the easiest ways to solve various iTunes issues. 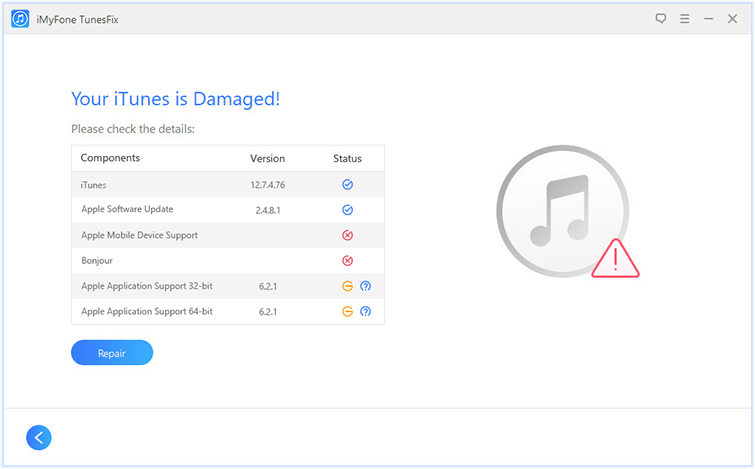 That’s why it is recommended that you install iMyFone TunesFix on your computer as it can solve all kinds of iTunes-related problems very quickly. It is likely that you will be able to solve ‘iTunes movie won’t play black screen’ problem pretty easily via this tool. TunesFix features an automatic scanning as well as various powerful manual iTunes repair modes so your chances of solving any kind of iTunes issue via this software are very high. Solve any kind of iTunes-related issue quickly. The software can fix 100+ iTunes errors. Automatic scanning feature is highly convenient as it allows you to fix most of the iTunes issues with a single click. 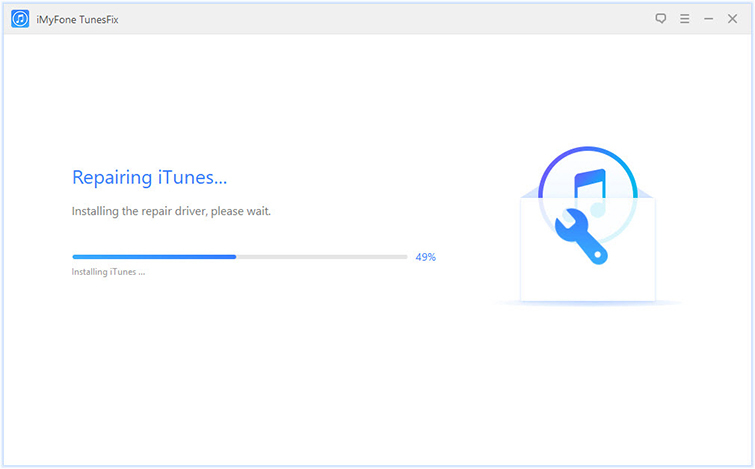 User-friendly software interface makes repairing an iTunes issue easy as 1-2-3. Uninstall iTunes completely with one-click. Clean iTunes and boost its performance significantly via two powerful cleaning modes. Step 1: Close iTunes and launch iMyFone TunesFix on your computer. Step 2: Wait for TunesFix’s automatic scan to complete. If an issue is detected, fix it via the Repair button. 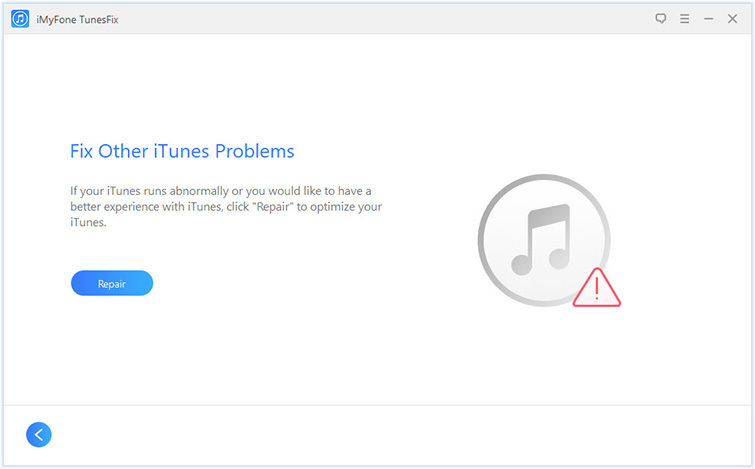 Step 3: Now click on ‘Fix Other iTunes Problems’ mode from the main screen of the software. Step 4: Next, click on the Repair button. iMyFone TunesFix will start the repairing process. The issue of iTunes movie won’t play black screen occurs due to many reasons. One of the primary reasons is the helper add-ons of iTunes not loading properly. To fix this, you simply need to restart the iTunesHelper.exe process. Step 1: First close iTunes. Then open the Command Prompt window. Run it as Administrator. Step 3: Once you input the above command and hit Enter, the iTunesHelper process will be stopped. Now open iTunes, it will restart the iTunesHelper process and the problem of black screen during movie playback will be solved. Another solution that has worked for many users is updating the graphics driver. It is possible that the iTunes movie won’t play black screen problem is occurring not because of an error in iTunes, but due to a malfunctioning or corrupt graphics driver. Updating the driver fixes the issue if this is the case. Step 1: Update your Intel, AMD, or Nvidia driver (depending on your hardware) from the Control Panel of your Windows PC. Step 2: Install the latest version of QuickTime. Step 3: In its settings, turn off D3D support and then play a movie. Step 4: Once the movie is played correctly without black screen, turn the D3D support back on. There could be a number of causes behind the black screen issue when playing movies in iTunes. If you determine the primary cause of the problem, it becomes easier to solve the issue. That’s why knowing the potential causes behind this issue is very important. The display does not support HDCP while the movie you are trying to play is an HD movie. The graphics driver on your computer is corrupted or malfunctioning. Some of the iTunes-related registry files are corrupted. iTunesHelper.exe process is corrupted or not working properly. iTunes is a great tool for watching movies downloaded from iTunes Store or streaming them directly. If you see black screen when playing a movie in iTunes, then you will need to repair iTunes. You should use iMyFone TunesFix to solve the issue before trying other manual solutions as it might save you a lot of time and effort.